India and New Zealand played the third T20I in Thiruvananthapuram but not at University Stadium which hosted West Indies. S Radhakrishnan, then 24, remembers the match vividly as if it happened yesterday. “The West Indies team was coming to Kerala for the first time to play a one-day match. It was an epic team,” he said. On January 25, 1988, the Indian team, which had announced itself to the world by winning the World Cup five years ago, landed in Thiruvananthapuram with nothing much to hope for except salvaging some pride against West Indies. It was the final ODI of a seven-match series which the visitors were leading winning 5-1. But for the people of Thiruvananthapuram, then a sleepy capital, and nearby places, it was a big moment. It was only their second date with international cricket, the first one in 1983 against Australia being washed out. At the University Stadium, which had just hosted the National Games a year ago, nearly 20,000 spectators bought tickets to see the match. 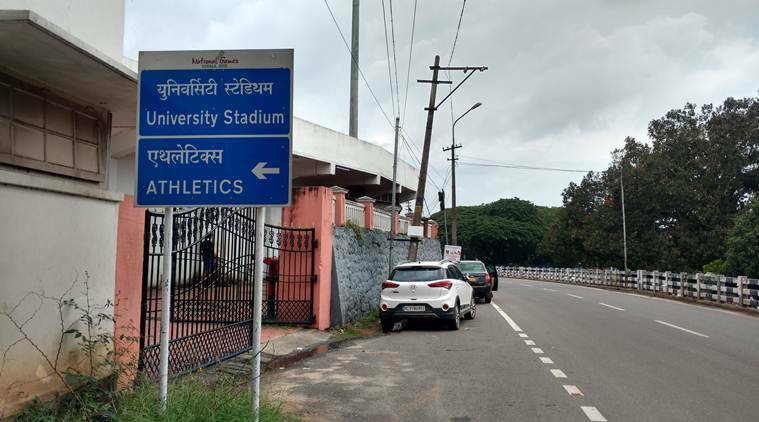 “It was a small stadium belonging to the Kerala University with no major facilities. There was a single pavilion with most spectators sitting on concrete steps in the gallery. But there was a festival atmosphere,” said Radhakrishnan, now working in a media consultancy firm after a long career in journalism. “I was working for Malayala Manorama (a prominent Malayalam newspaper) then. I was deputed to do the side stories that day,” he said. He especially remembered seeing Ravi Shastri, the stand-in captain for that match, coming out of the Mascot hotel and getting surrounded by women. “They loved him,” he said. Interrupted by rain and reduced to 45-overs-a-side, the West Indies won the toss and elected to field first. In the stadium, which had the unique feature of a synthetic track encircling the small ground, the outfield was fast and the pitch friendly to batsmen. India, boasting the likes of Krishnamachari Srikkanth, Mohinder Amarnath, Kapil Dev and Sanjay Manjrekar, posted a competitive total of 239/8 on the board with Srikkanth (101) and Amarnath (56) doing the major hitting. But in return, the Indian bowlers, especially Kapil Dev and Shastri, were hammered by the WI batsmen with fours and sixes coming in plenty. “I especially remember the innings of Gordon Greenidge. He was very entertaining,” said A Vinod, who recalled covering the match for The Hindu that year. While Greenidge hit 84 off 76 balls (4 fours, 5 sixes), it was Phil Simmons, the Trinidad-born right-hand batsman, who hit 104* wrapping up the match for the Caribbean with a strong partnership with R Richardson (37). India, which had hoped to end the series on a good note, were humiliated by the West Indies by 9 wickets. “It felt like the West Indies wanted to wrap things fast and go back home. They were heartless,” remembered Radhakrishnan. “Kapil was the star bowler. Everyone expected him to take some wickets. But he was a flop show,” he added. But the conduct of an international match in the state itself boosted the sport and propelled more and youngsters to take up cricket. “Since it was predominantly a football and athletics stadium, we had to do a lot of innovative and temporary arrangements. We didn’t have a lot of funds either. We literally ran pillar-to-post to stock money and took temporary loans,” said SK Nair, then the secretary of the Kerala Cricket Association who went on to hold administrative posts in the BCCI. “It was a big moment for us,” said Nair. On Tuesday, the University stadium was empty save for a couple of people cutting grass and mending the synthetic track. As the afternoon sun beat down on the stadium and the gallery, Shaji, who was mowing grass inside the stadium, said he was probably 12 years old when the stadium hosted the India vs West Indies match in 1988. “I don’t remember that match,” he told IndianExpress.com. For all the attention on Tuesday was focused on the Greenfield stadium in Karyavattom, 12 kilometres away, where nearly 45,000 people thronged the stands to watch India play New Zealand in a T20 match. It was only the second time in nearly three decades that the city was playing host to an international cricket match. “I would have really liked to take a photograph with Shastri. The KCA should have got him to the University stadium. It is a coincidence. In 1988, he came here as captain, today as a coach,” said Radhakrishnan.